Showing 40 of 1459 results that match your query. Product - Le Chef 21-Piece Cherry Enamel Cast Iron Cookware Set. Le Chef 21-Piece Cherry Enamel Cast Iron Cookware Set. Product - Gourmet Chef 15 Piece Stainless Steel Cookware Set. 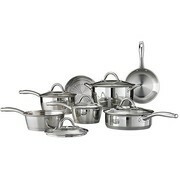 Gourmet Chef 15 Piece Stainless Steel Cookware Set. 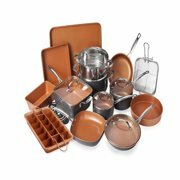 Product - Le Chef 4-Piece Enamel Cast Iron Orange Cookware Set. 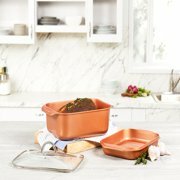 Le Chef 4-Piece Enamel Cast Iron Orange Cookware Set.